9am - 5pm on a weekday, I'm a UK tax advisor. 24 hours a day, 7 days a week, I am a travel obsessive. 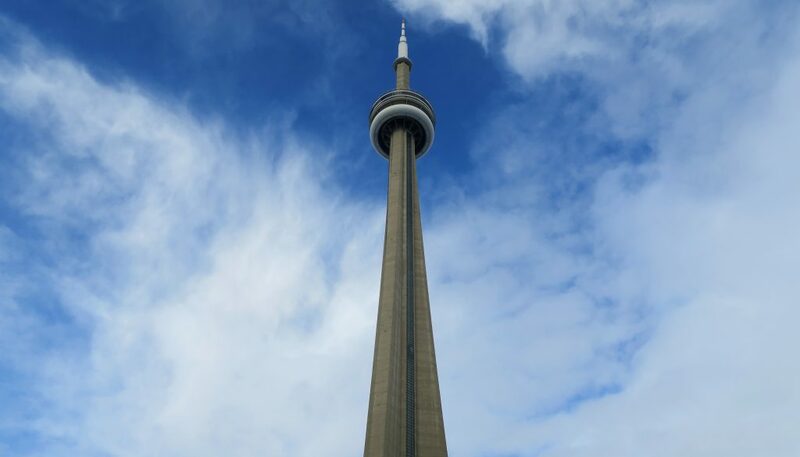 A trip to Toronto would not be complete without a trip to the CN Tower but the queues can be astronomical and with time being of the essence, we figured the best way to experience the view from the CN Tower would be to eat there! While my parents had eaten in a 360 revolving restaurant previously in New York, this was my first time and nerves were running high given my extreme fear of heights! We booked a table at a time that meant we should be able to witness the sunset (the 360 restaurant website helpfully shows the current estimated sunset time so that you can plan your dinner accordingly). You will need to arrive early to make your way through the airport style security before making your way to the lifts. The best part about booking for dinner at this stage is the fact that you skip the huge queues for the viewing decks (but you do get to go down to these after your dinner). We were quickly ushered to a separate queue which, while appeared to be more luxurious (lovely reception area with well dressed servers who escorted your coats and bags to a cloakroom for your convenience), the classic tourist traps were still available including a big green screen for a photograph of you and your family superimposed onto a CN Tower inspired background. For those with a fear of heights, the lifts are super speedy and the journey will be over in no time (thank god!). For those without a fear of heights, the lifts have great view points in both the walls and the floor so you can see the busy city zooming away from you. RELATED: Looking for somewhere to stay close by to the CN Tower? 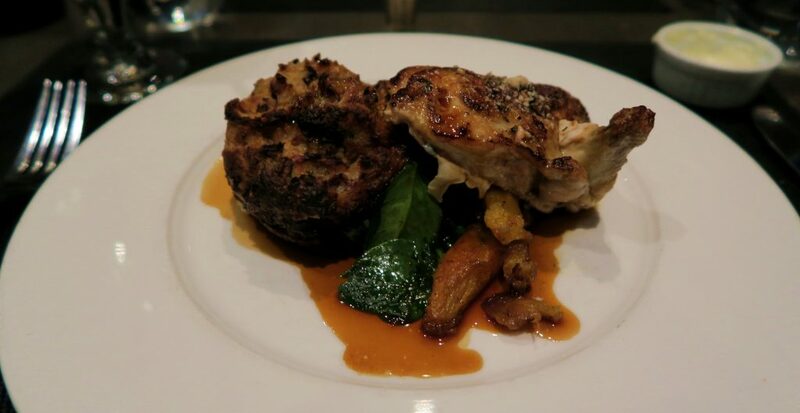 Make sure you check out The Renaissance Toronto Downtown Hotel – you can read my review here! We were quickly ushered to our table on the revolving floor and presented with the menu (albeit we were distracted by the view for quite some time). The menu changes twice a year (for Winter in November and Summer in May). We were visiting in Winter and were happy with the very extensive menu (the wine menu in particular was huge)! 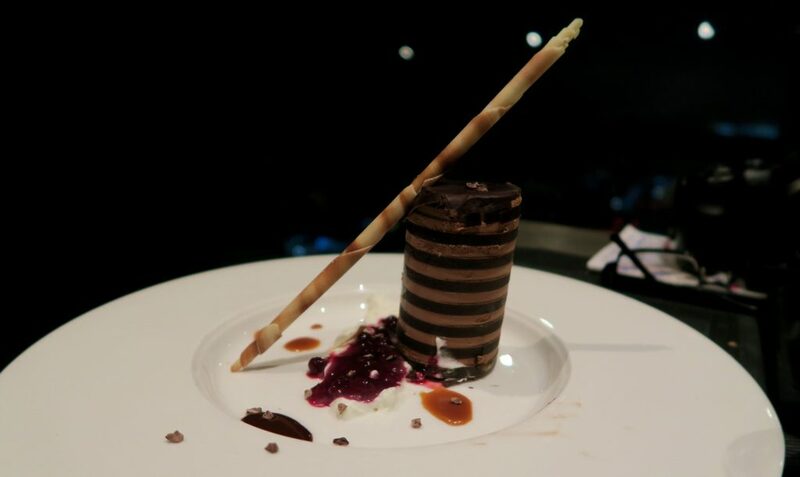 The food was delicious and worthy of the “fine dining” reputation that the CN Tower portrays. The service on the other hand, could do with some work. Maybe we were just unlucky with our server, but he knew very little about the menu, very abrupt and would often would wander off and leave us waiting a long time to order/pay. The food was worth the long wait and of course the ever-changing view keeps you entertained in the meantime. I would definitely recommend visiting the CN Tower at sunset. While the sunset itself wasn’t particularly spectacular (it was over very quickly), I loved being able to see both the view in the light and the view in the dark. As we visited in the middle of Winter, by the time we were ready to leave the tower, it was pitch black outside and I think this was my favourite view of the city! I’m a sucker for twinkly lights! Taking photos of the view isn’t always plain sailing when you are constantly rotating and also trying to shoot through reflective glass – but sometimes it’s good just to enjoy the moment! 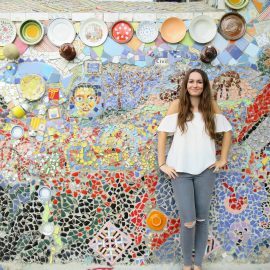 RELATED: It’s so much fun looking down over all of the places you’ve visited in your trip – find out all the other great things to do in Toronto here! Given the popularity, this won’t be the cheapest meal you eat in Toronto! The prix fixe menu is currently set at two courses for $65 and three courses for $79 which given the standard of the food isn’t bad at all! Wine however can be pricey but with so many to choose from, you are likely to be able to find something to suit your budget and taste. The cost of your meal also includes the elevator ride and access to the Look Out Level and Glass Floor. General admission to both of these floors costs $39 regularly – so if you’re ordering a two course meal, the meal is actually only costing you $26 (excluding drinks)! * Prices in Canadian Dollars (currently $1 = £0.62 – correct as at September 2017). 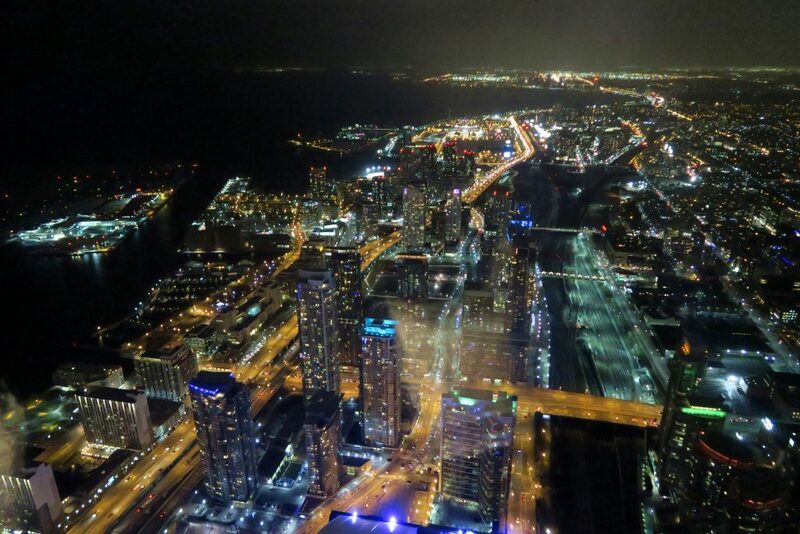 RELATED: A trip to the CN Tower is almost mandatory on a visit to Toronto. As is a trip to Niagara Falls! Find out about all of the experiences you can have in Niagara here! 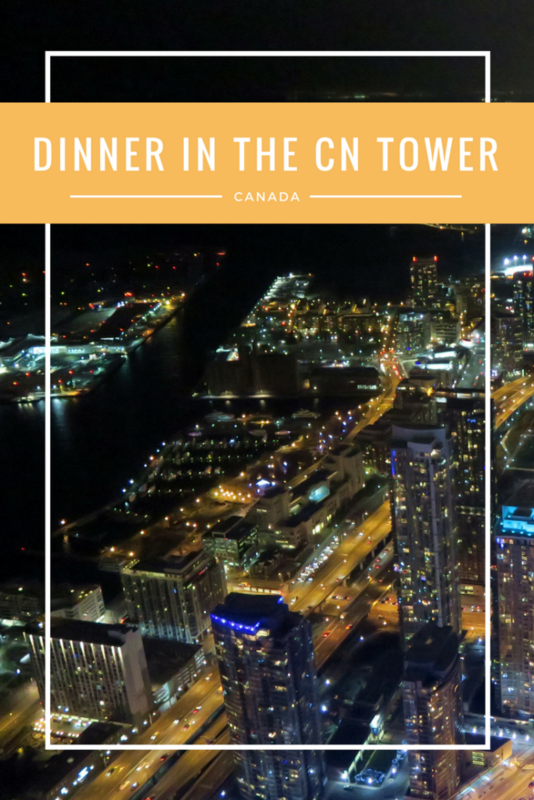 Assuming the experience is within your budget, eating in the CN Tower should definitely be on your wishlist of things to do in Toronto! It’s the kind of experience you will only do once (despite the fine dining experience they try to portray, it is still a tourist trap at the end of the day) and a trip to Toronto would be incomplete without a visit to it’s most famous landmark! 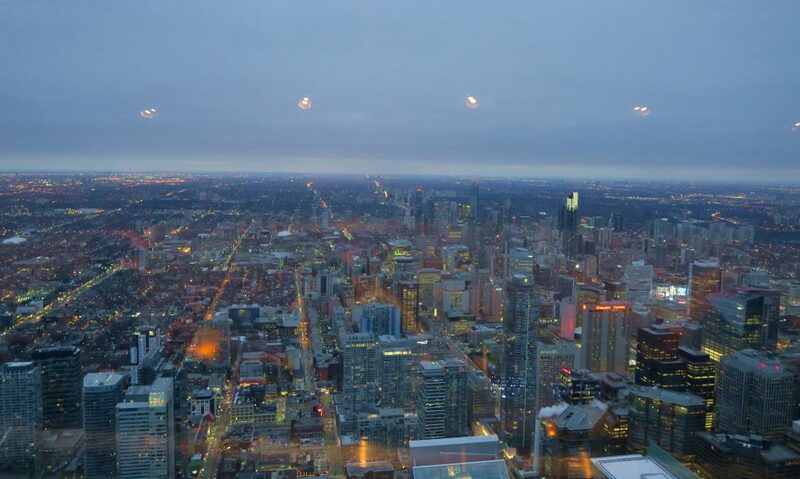 Have you ever eaten in a revolving restaurant? Did you enjoy it? Disclaimer: This is not a sponsored post and all thoughts are my own. Wow – this sounds absolutely baffling! I never realised it was a revolving restaurant , sounds like such an interesting experience. Amazed you went up with such a fear of heights! I'll do anything for food apparently haha! Copyright 2016 Taurus. All Right Reserved.